Andy OnCall Handyman Service of Bergen County is locally owned and operated. When you need a home repair, simply contact ANDY OnCall®, and we will send you a skilled, qualified craftsman with a minimum of 25 years experience. The craftsman working with our ANDY OnCall® office provides you with a FREE Estimate and is ready to begin the job right away, staying until it is completed to your satisfaction. No payment is due until the job is completed to your satisfaction. We are licensed, bonded and insured and labor is guaranteed for one year. Priced by the job, not the hour. 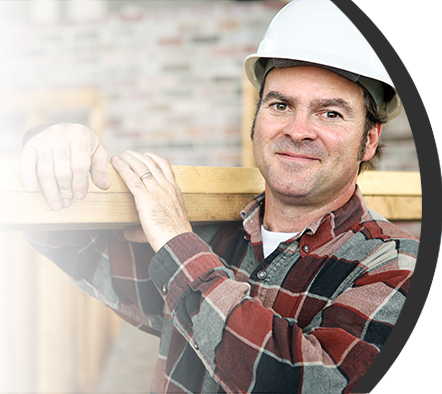 Whether you need carpentry, painting, minor repairs, or home maintenance, ANDY OnCall® can help you. Contact ANDY OnCall® with your specific needs. We are committed to meeting your home improvement needs and providing you with a quality craftsman for any job. Let us provide you with a FREE Estimate at fair rates for quality guaranteed work! ANDY OnCall® Makes Projects, Repairs & Maintenance Easy & Hassle Free! ANDY OnCall® is licensed, bonded and insured and guarantees all craftsmen work with a one-year WRITTEN WARRANTY. We accept projects as small as one hour as well as projects that take several days. No job is too small. We invite you to take advantage of our FREE Estimates. Contact our ANDY OnCall® office for an appointment and a craftsman will come to your home and evaluate projects at no cost. We ask that you make in advance a list of all tasks you would like quoted, and the craftsman will assess them right away. Call or e-mail ANDY OnCall® today!